Popular years ago this creamy avocado dip is worth bringing back. Great with corn chips and fresh veggies or even a salad. 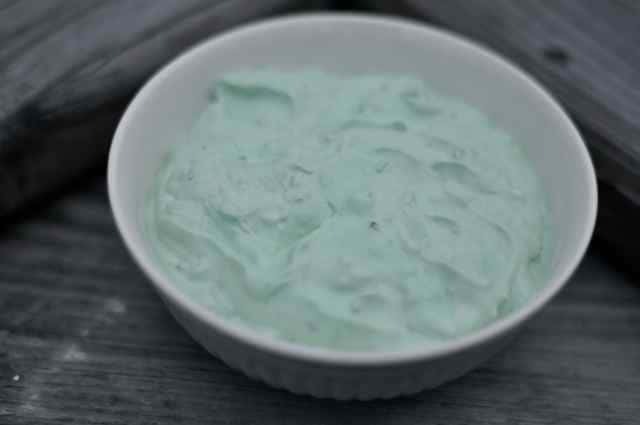 Make some old-fashioned green goddess dip. Mash avocado, add sour cream, mayonnaise, salt and seasoning salt and mix well. Fold in chopped parsley and chopped green onions. Serve with cold and chips and crackers. Thank you for sharing this great homemade dip! It’s better than what I bought at the deli. This turned out really good! Served it at a gathering last weekend everyone loved it! I love this dip. It reminds me of when I was growing up. I immediately think it needs to be served out of a rust color bowl on an avocado colored placemat.